Join author Ian Knight to find out more about the origins and impact of the Zulu War, and how it is perceived today. It's 55 years since the release of the iconic British feature film 'Zulu', and 140 years since the war it purported to depict. 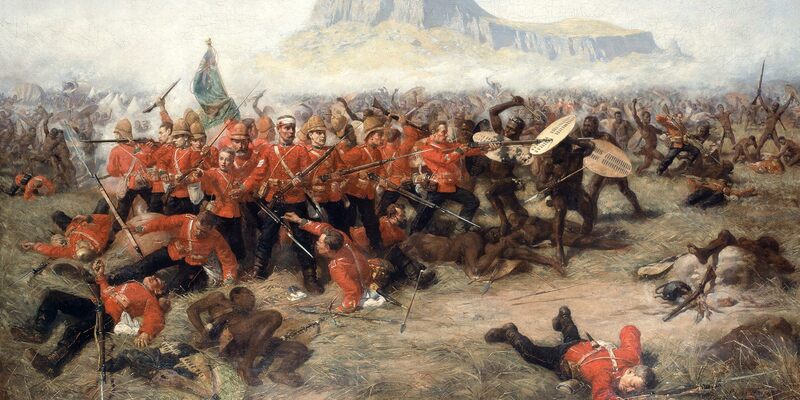 The destruction of a British camp at Isandlwana in January 1879 was the costliest single action of the Victorian era. The subsequent determined defence, against overwhelming odds, of the border mission at Rorke's Drift has passed into popular mythology. But what brought the British to this remote part of southern Africa in the first place? Did those battles end the war? What impact did it have on the Zulu people? And how is it perceived today, both within South Africa and in a United Kingdom that is now sceptical about the Boys' Own heroism of its Imperial past?